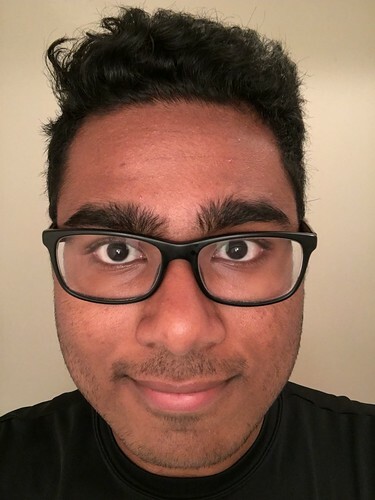 What attracted you to becoming a Peer tutor? Having a chance to help someone having a hard time is something that I really enjoy. 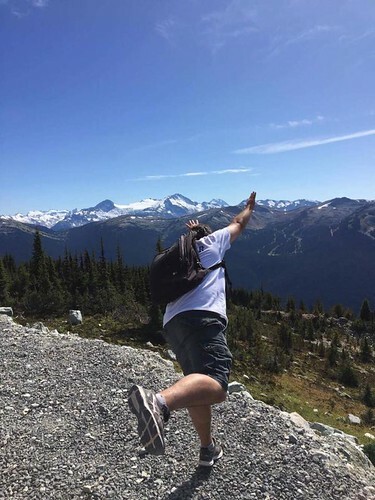 As BCIT students we know how overwhelming our programs are, and being a “scape route” from all that pressure is a marvelous feeling. How has tutoring helped you? Peers that I’m tutoring don’t realize how much I learn with them. Not only course related since I’m reviewing subjects that are from previous terms, but also as a person. Everyone is a change for me to learn how to inspire, develop leadership skills and, most importantly, understand a little bit more about different perspectives. If you could give one piece of advice to a BCIT student what would it be? Work hard, play harder. In my opinion, a good balance between studies and social life is the key to success. What would your dream job be when you leave BCIT? I don’t exactly have a “dream job”! I just want to find a position that gives me a feeling that my job is relevant to someone, even if they don’t even notice it. If you had a free day, how would you spend it? Definitely drinking a beer with my girlfriend and friends. 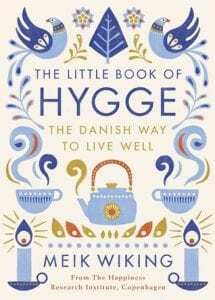 Sharing his findings as CEO of the Happiness Research Institute in Copenhagen, Meil Wiking takes the reader through everything they need in order to achieve Hygge – the Danish work that describes all things soothing and cozy. From the right lighting, to comfort food and clothing, The Little Book of Hygge: the Danish Way to Live Well, will help you survive the long, cold winter. The rainy season is here. Why not fully embrace the rain by learning all about it? 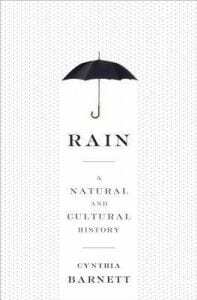 Rain: a Natural and Cultural History, by Cynthia Barnett demonstrates how rain can be both productive and destructive by examining the cultural and scientific role of rain over the past 4 billion years. 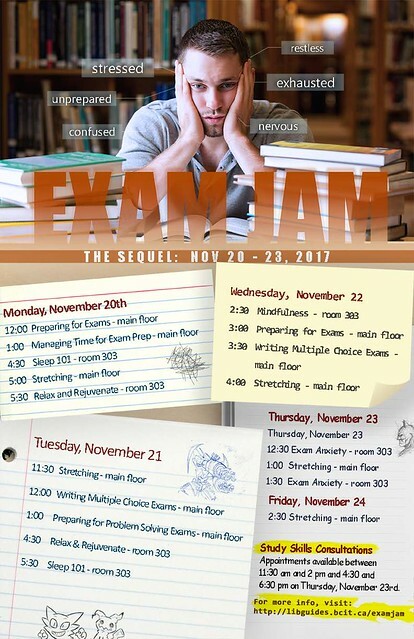 Drop by to participate in FREE learning skills seminars, de-stressing workshops, stretching sessions, and other events and activities to achieve success and manage your well-being during exam season! All attendees will receive free coffee vouchers, tea, healthy snacks and a chance to win a prize draw! It is a great way to practice my communication skills and remember all the things I learned. STOP PROCRASTINATING! Delaying tasks almost . If I had done things when I should have, it would be like going down river rather than up. Not sure, roller coaster, biotech, anything fun or important. My previous experience as a teacher game me the opportunity to know and enjoy helping others to achieve a goal, so being a tutor will give me this opportunity again. Also, I think the best way to keep your mind fresh and trending is by sharing your knowledge and receiving new ideas from others. 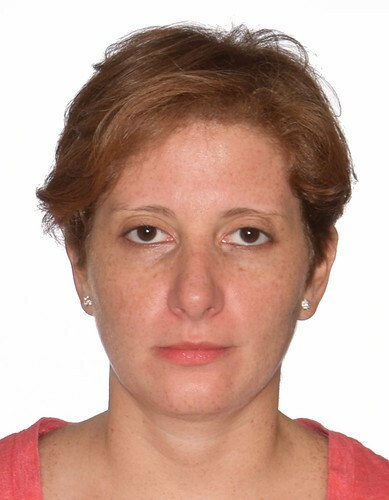 It will help me to improve my own courses and get involved with my fellow students. In my opinion, we need to build a community. Also, it will help me to improve my ability to teach, learn, and be open to new sources and learning strategies. Make a commitment to your goal and keep your time managed. Be organized. That is a good one because I do not have many. However, when I get a free day, I would like to cook for my girlfriend and close friends at home. Other times would be spent doing outdoor activities.